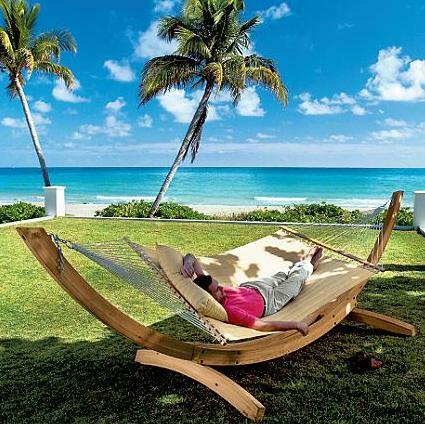 Hammocks have become a symbol of relaxation for everyone around the world. 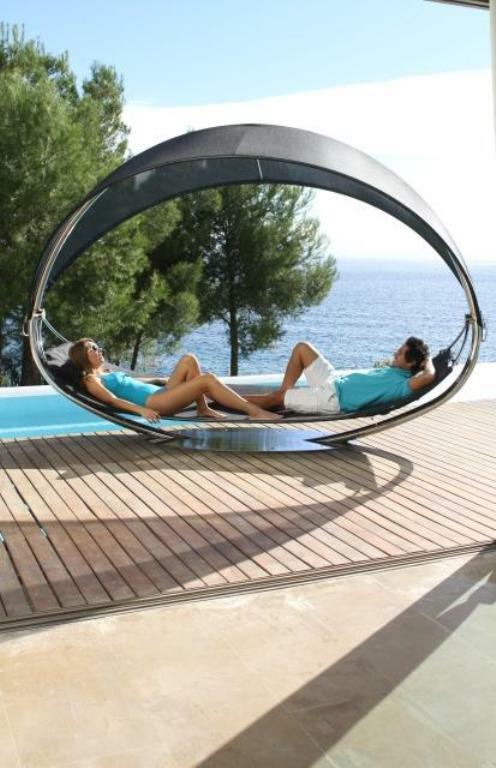 This comfortable swinging piece is amazing for having a nap or reading, both indoors and outdoors. 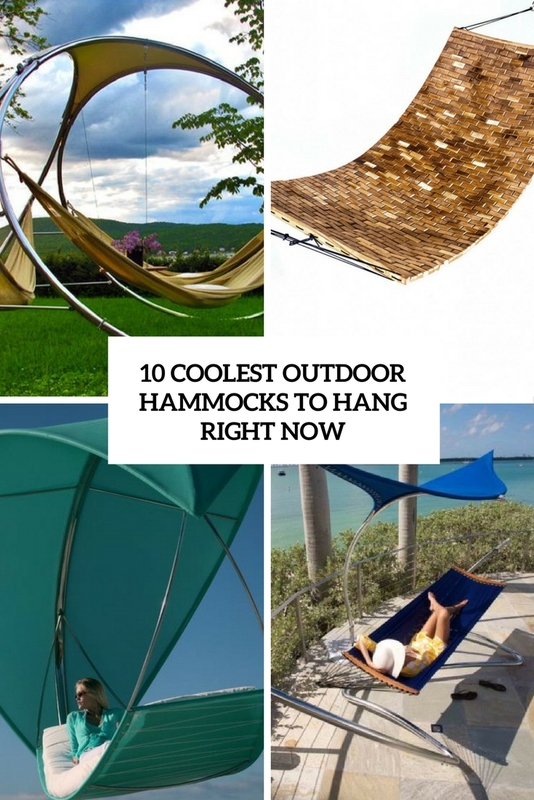 As the outdoor season has begun, I’d like to share some cool outdoor hammocks that you can buy and go hang in your outdoor space or balcony to relax. 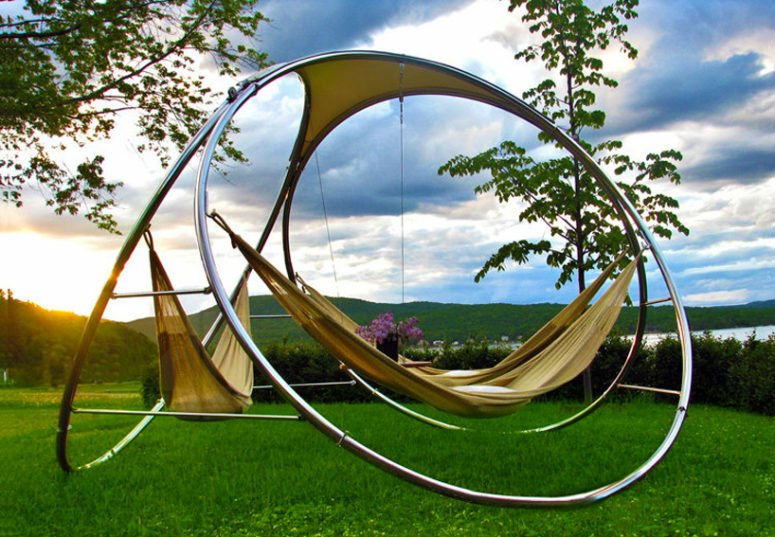 This amazing hammock doesn’t need trees or ropes because is safely attached to a well-built frame. With Tuuci’s Air Lounge Hammock anyone can have a comfortable hang-out in their garden or on their balcony, creating a perfect rest spot where they can enjoy moments of relaxation away from everything. 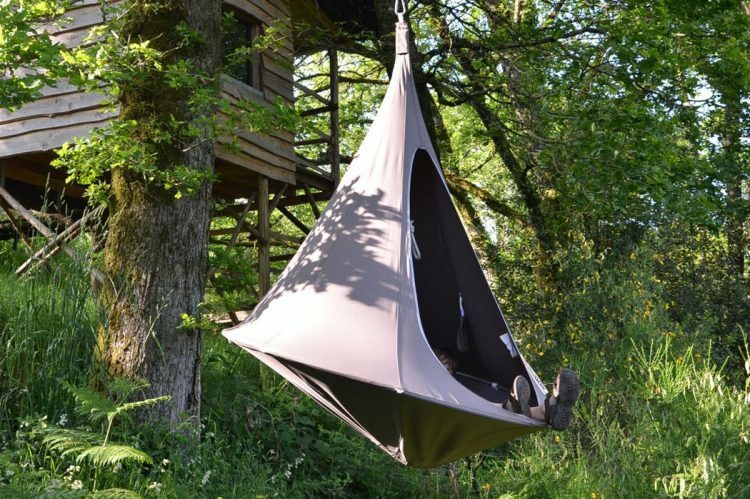 The Cacoon is your hammock upgrade that you can hang from anywhere and instantly make it your cozy little zen space, it’s suitable for both indoors and outdoors. It’s your swing chair; your hammock; your hanging garden seat; it’s whatever you want it to be, inside or out. Designed to feel like a hammock, but give you the leisure and shade of a tent, the Cacoon is perfect for turning any space into an instant recreation and chill zone. Royal Botania incorporated an opposing canopy in the design of what I have to say is the best looking hammock I have ever seen. If you are into the finer things in life, especially relaxing in luxurious surroundings, you should visit Royal Botania and get a look at their glamorous outdoor furniture. 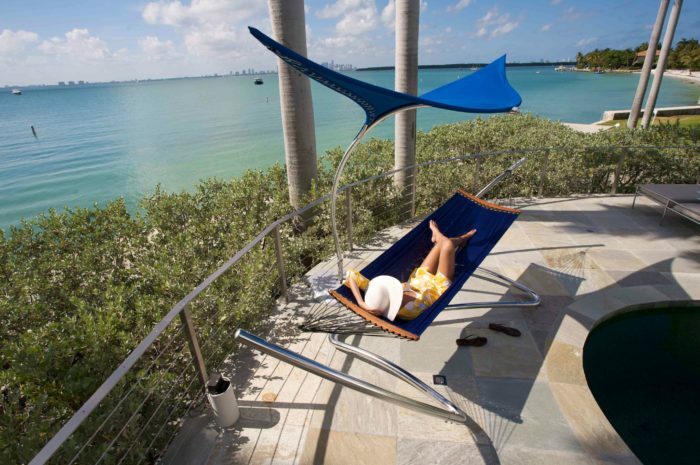 Each Trinity Hammock is made from the finest marine-grade materials, and features a stainless steel structure with a suspended 21″ teak table hanging at its center. 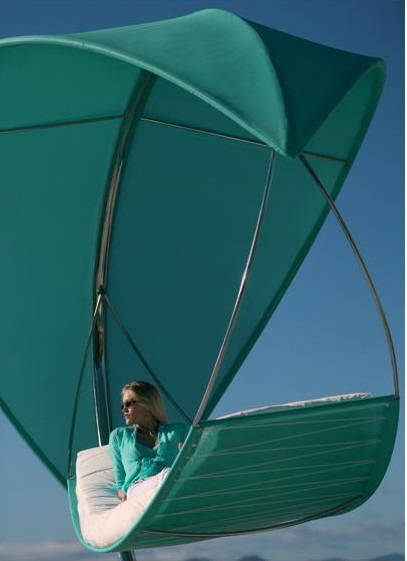 Protected by Z-net cream colored top shades, the quilted beds offer a comfortable place to rest, whether on the beach, in the woods or in your backyard. Each design’s payload measures 200 kg. When the weather is right outdoor relaxation is a restorative way to renew your body’s energy. 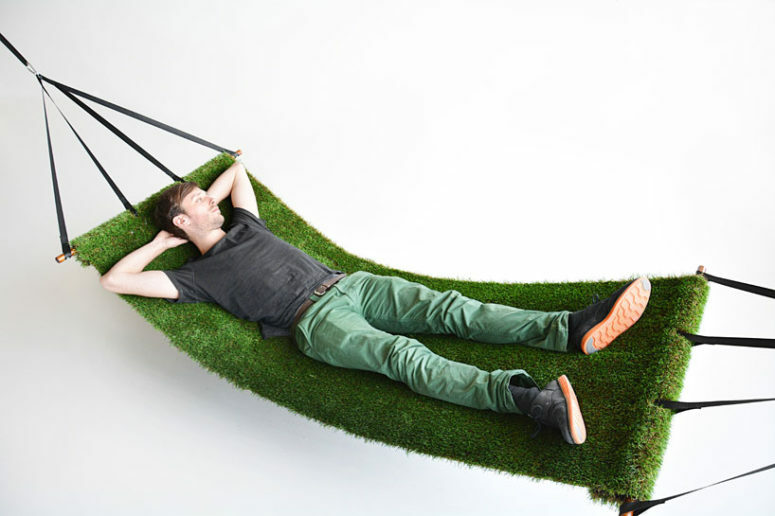 A great way to relax is in a garden hammock like the one featured here. Now my vision is that a beautiful garden and outdoor area are just within the line of vision as you swing freely. This model comes from Frontgate and features a very sturdy hammock stand. Thus, it is not necessary to have mature trees which the hammock can be attached to. Everyone needs some rest from time to time, and this article is really relaxation-inducing. 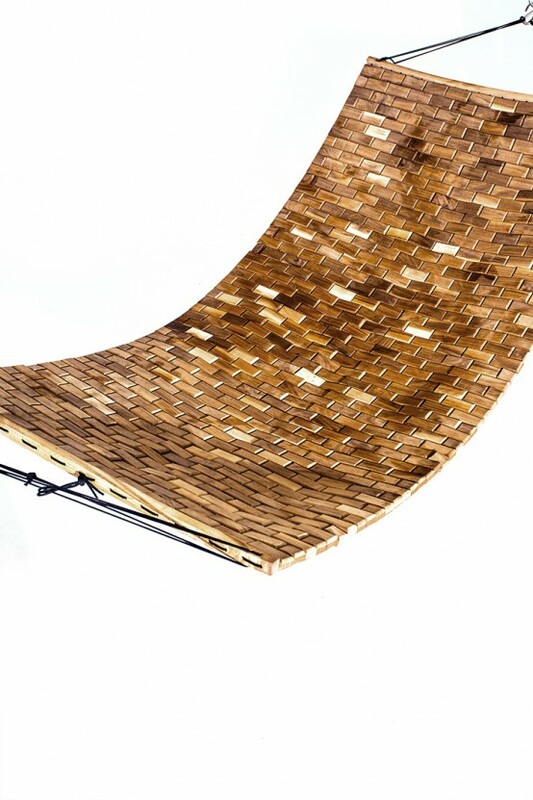 The Para Hammock is a highly welcoming, tension-relieving furniture piece by Chaffee Graham. The unconventional swing is made using over 700 pieces of walnut that are all connected in an integrated and flexible grid via a Para cord. Flexing walnut tiles provide ultimate comfort and relaxation. The Air Lounge from TUUCI gets some extra points for not only comfort but cool looks as well. These days backyard decorating has become far beyond what it once was and with that some great patio furniture has surfaced with arrangements for outdoor kitchens and seating areas that could easily make the cut as interior furnishings. 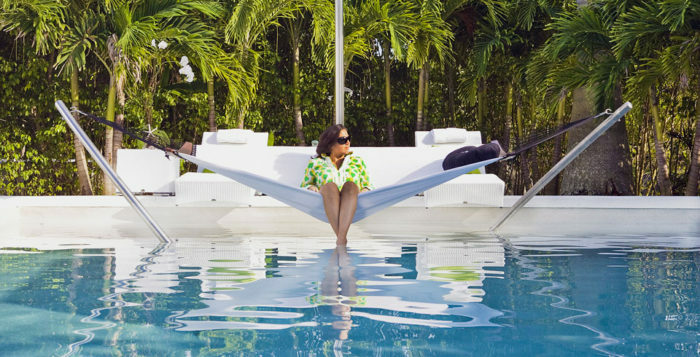 La Seóra hammock was inspired by the most important cultures of Miami: American and Cuba. It’s a hybrid of an American lounge chair and a Cuba hammock, made of plywood and stainless steel. The construction saves your back from round shoulders, takes away the stress that is usually provided by the hammocks of fabric or net. Sourcing from the centuries old culture of the human wish to control nature, Toer‘s ‘Field Hammock’ reflects upon our management over the fields. The design is a combination of the slow movements of hanging in the air and the relaxing feeling of lying in a meadow. Made from multicolored grass-like synthetic polyamide pile fabric, the hammock is water and UV ray resistant. As well, the straps are produced from durable polyester and secure to the hardwood poles that keep the mat in place. 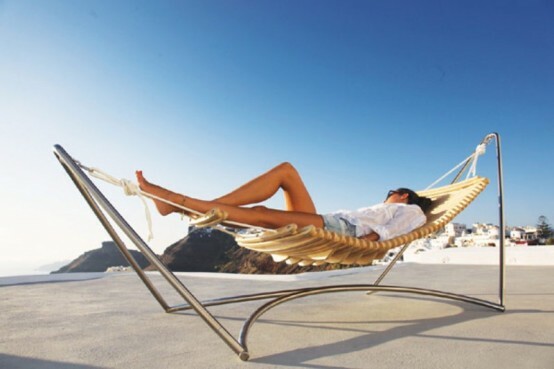 Surf is a very comfortable hammock that is hung on the metal base. There is kind of a roof above not to be burnt by the sun. This hammock is big enough for even two persons; it’s available only in white but it’s a universal color that fits almost anything. It’s a fantastic seat to put it somewhere near water and enjoy the view and fresh air without being sunburnt.